When I first got this red maxi skirt, I thought I wouldn’t get much use out of it. But surprisingly it's been one of my go-to skirts. I wore it last year to my Birthday dinner and since my Birthday is coming up in a few days I thought I’d re-mix it again. For this outfit I kept the same color scheme of red, black and white, but went more casual vibe with a striped ribbed tee. To add a little extra flair I added a gold plated belt as well. 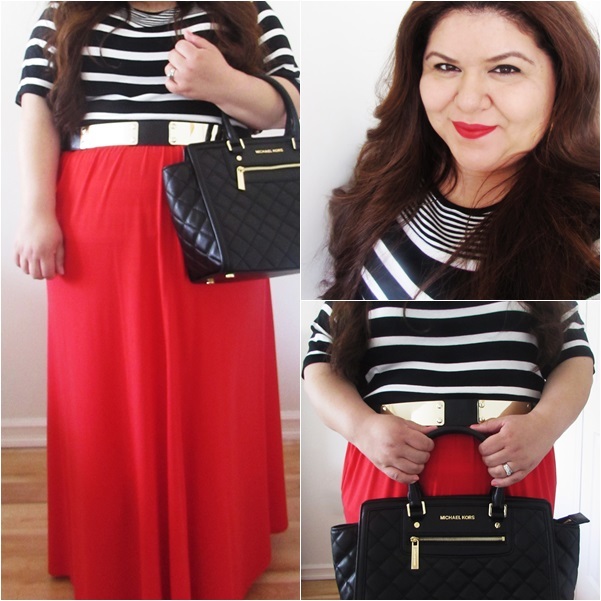 And of course my outfit wouldn’t be complete without my MK Quilted Selma. 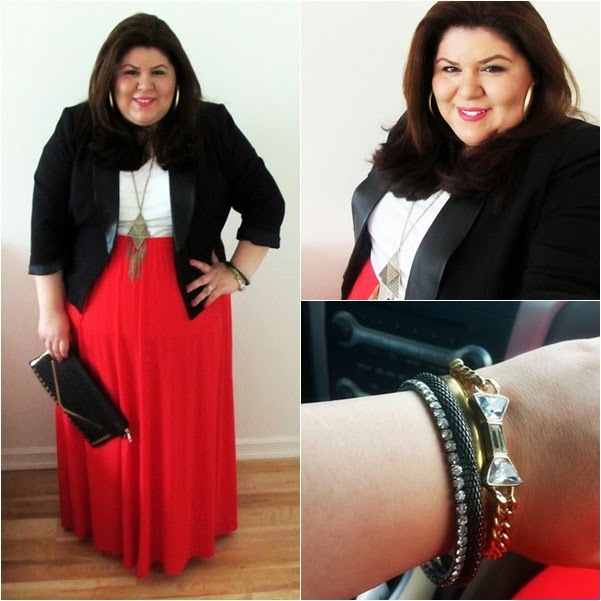 How would you style a red maxi skirt?